Super Cool. Super Roomy. Super Fun. 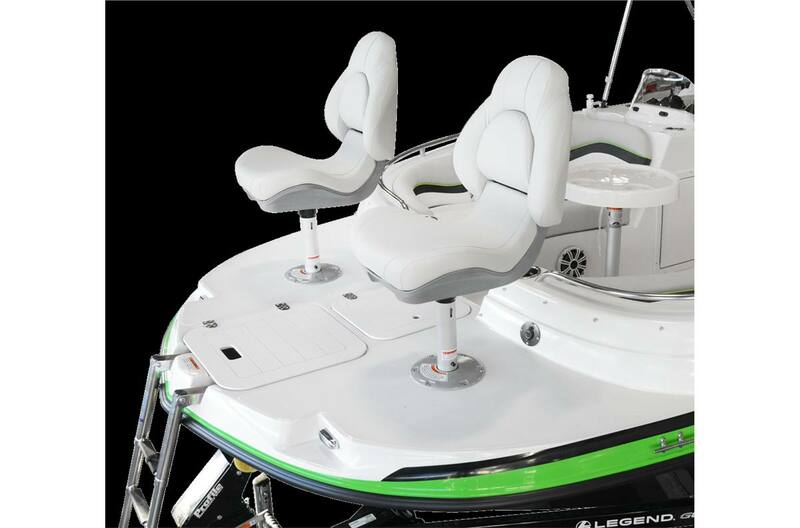 Introducing the all-new Legend Vibe Series! This year, we’ve gone back to our fibreglass roots. 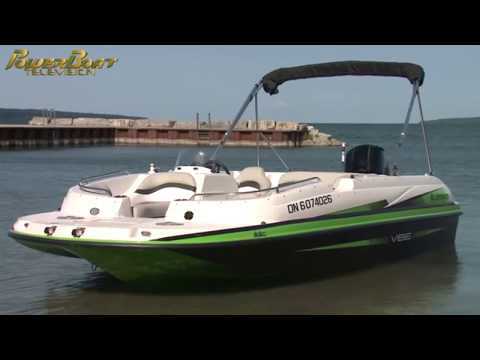 Whether you want to feel the wind in your hair, hear the laughter of friends and family, listen to your favourite tunes, or experience the exhilaration of being whipped around on a tube, the Vibe series has a ton of room and all of the performance you need to enjoy an amazing day on the water. Feel the Vibe! 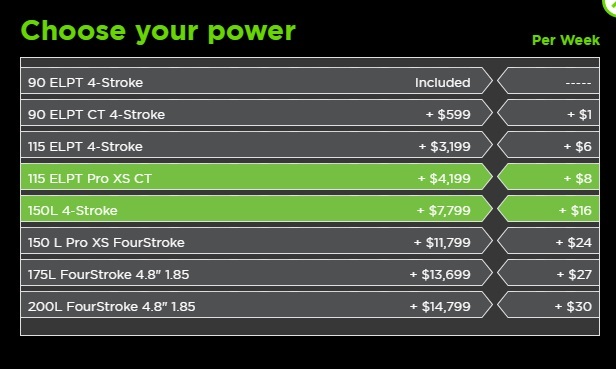 Premium Console: Be a master of the water. 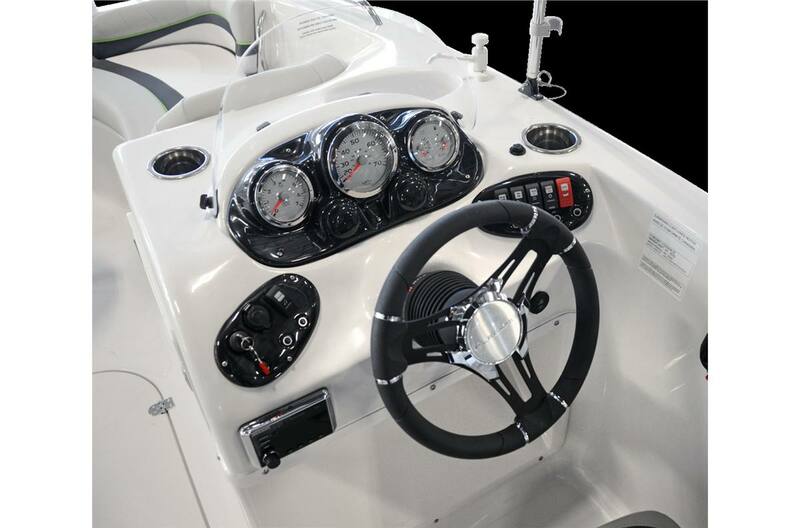 This premium Vibe console comes fully-loaded with gauges for monitoring tach, speed, fuel, volt and trim. Removable Front Table: Rounded front couches and a removable table that includes 4 drinkholders makes entertaining your friends and family that much easier. Ski Pylon: For some serious skiing and wakeboarding, simply install the removable ski pylon. Kicker Stereo: The Kicker Bluetooth All-In-One Media Center With 4 Speakers has the power and sound to let you enjoy your tunes at all speeds. 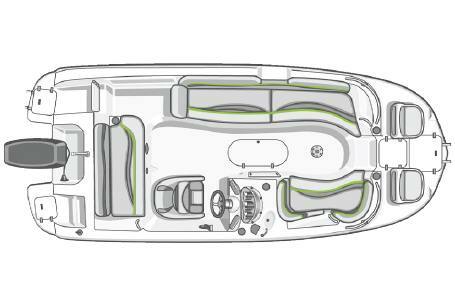 Front Lounge Area: 2 curved front loungers provide more than enough comfort for friends and family. Flip up the cushions for loads of under-seat storage to keep their gear safe and out of the way. 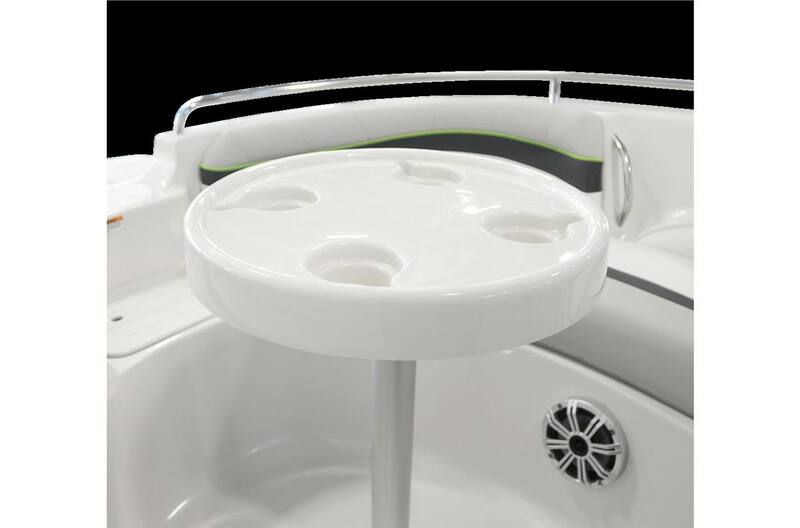 Below-Console Storage: There is no shortage of storage space on the Vibe with this massive below-console storage compartment . 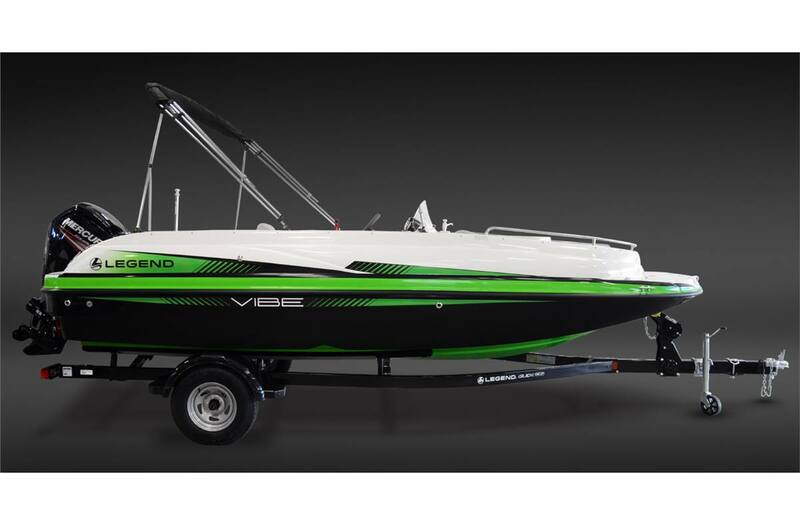 Vibe D20 Fishing Deck: The Vibe D20 fishing deck gives you room to fish comfortably, land your catch, and keep it lively in the aerated livewell. 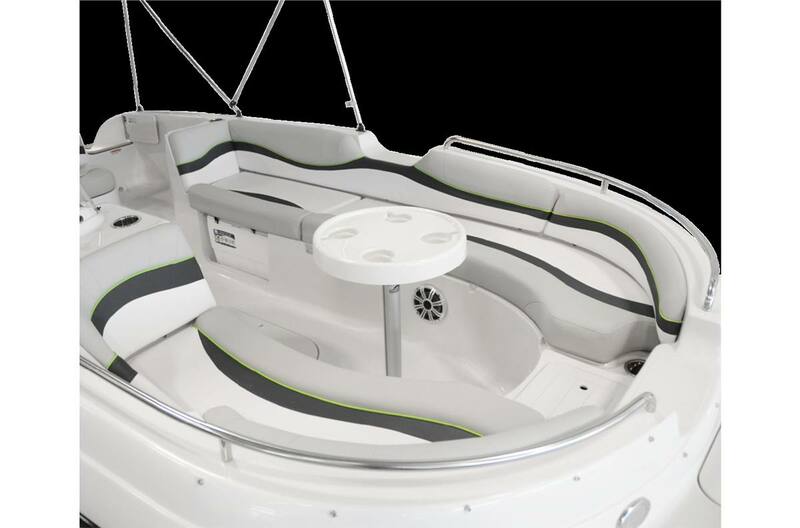 Vibe D20 Front Livewell and Ladder: Between 2 fishing seats on the Vibe D20 fishing deck are an aerated livewell for ensuring those keepers stay lively, and a handy pull-down front swim ladder. 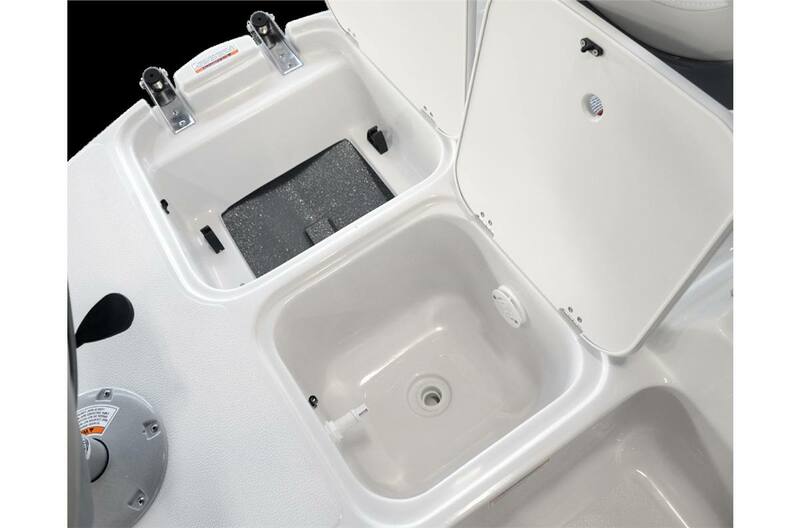 Vibe D20 Rod Storage: A storage compartment all along the entire side of the boat, with a new and convenient opening style lets you lock away your valuables and your worries. Overall Length: 20 ft. 4 in. Package Length: 24 ft. 1 in.